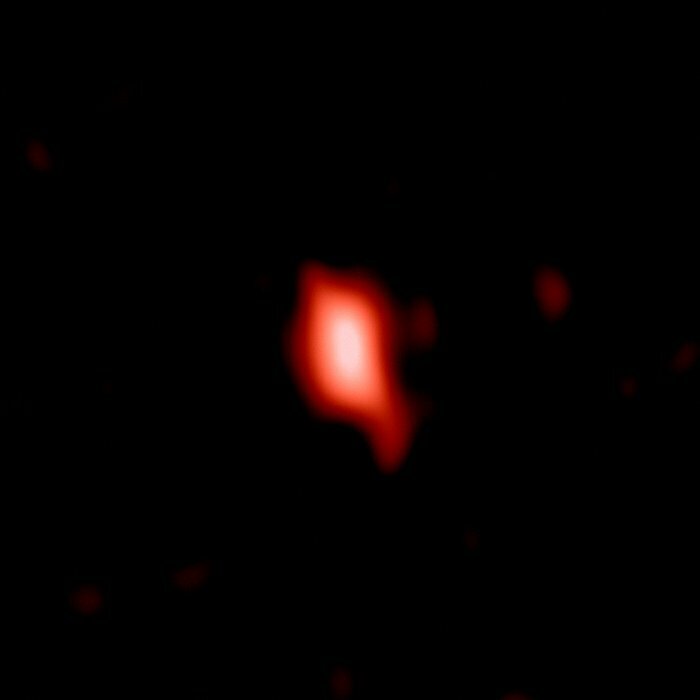 This image shows the very distant galaxy MACS1149-JD1, seen as it was 13.3 billion years ago and observed with ALMA. ALMA (ESO/NAOJ/NRAO), Hashimoto et al. Position (Dec): 22° 24' 45.64"